Typically, people just stack bottles of wine on a counter top or have them cooled in the chiller; but, in actuality, wine requires the correct storage settings, and a common kitchen cupboard or refrigerator is not enough. During wine cellar construction, you should focus on functionality, while making up your mind on the many things to be considered during brainstorming wine cellar design ideas. How often do you want to stay in your wine cellar? How do you want the space to look? 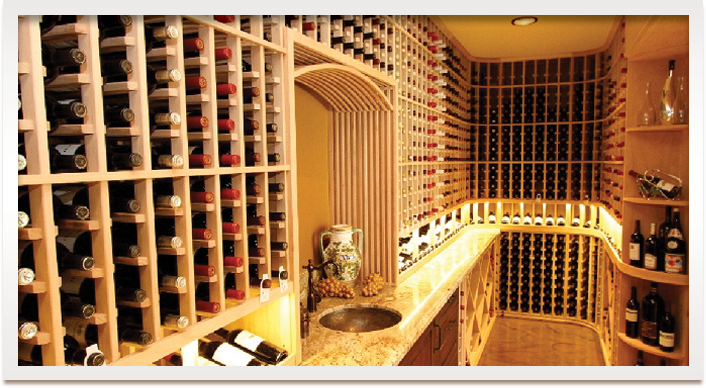 Do you intend to receive guests in your wine room? 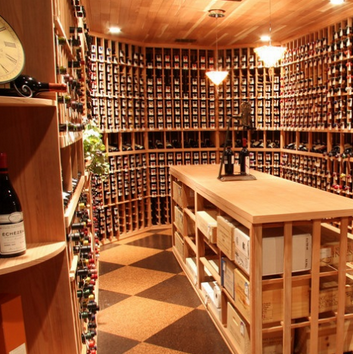 These and a lot more questions are significant to your wine cellar design. One option to properly house your wine collection is in your basement, which is just perfect for a wine cellar renovation. 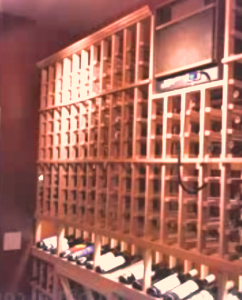 Here are some tips on how you can convert and have your very own custom wine cellar. Invest in a wine room with a wine cellar cooling system. This system type keeps a constant and perfect balance between the humidity and the temperature, which other conventional systems do not do. If you want your wine to maintain its full flavor through time, you should invest in methods for your wine cellar temperature control. Temperature is inarguably among the most important factors to consider when thinking of wine cellar design ideas, because it can greatly affect the quality of wines. If the temperature gets too warm, wine will age at a faster rate, which will adversely affect its flavour and taste.